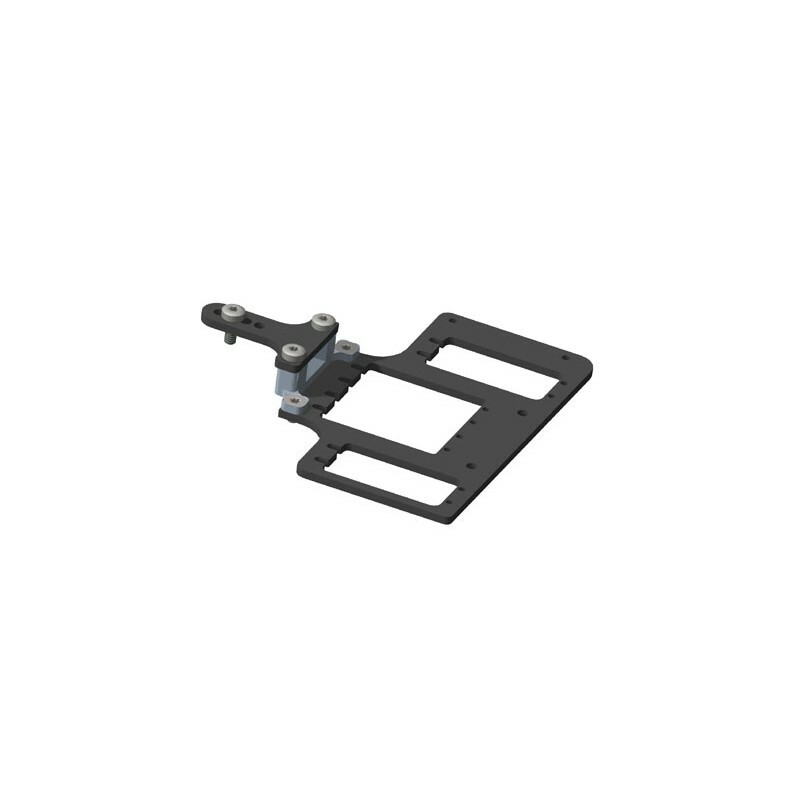 The new additional rear support of the servo saver and the front axle allows more even flexing behavior and better braking stability. 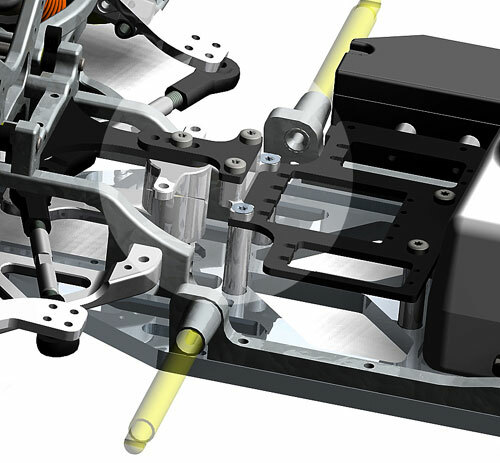 The servo plate was changed so that it no longer rests on the front axle plates. 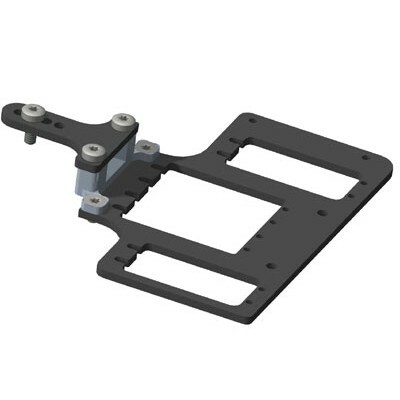 The set includes the new # 1320153 servo plate, aluminum bracket servo saver support rear # 1320131 and # 1320132 rear CFK / carbon servo saver support. 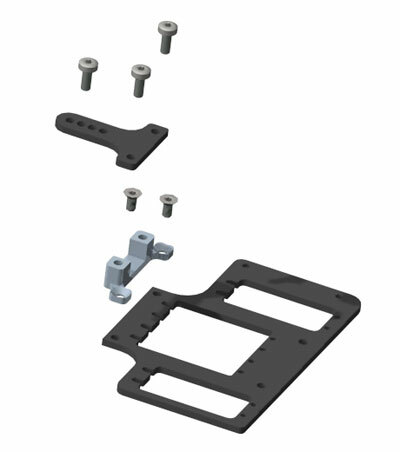 From now on, all SX-5 chassis will be equipped with these parts as standard.